I don’t think I’ve every met anyone who doesn’t like churros. Deep fried dough rolled in cinnamon-sugar? What’s not to love?! Churros are best straight out of the oil when they’re warm and somehow manage to be crispy and soft at the same time. 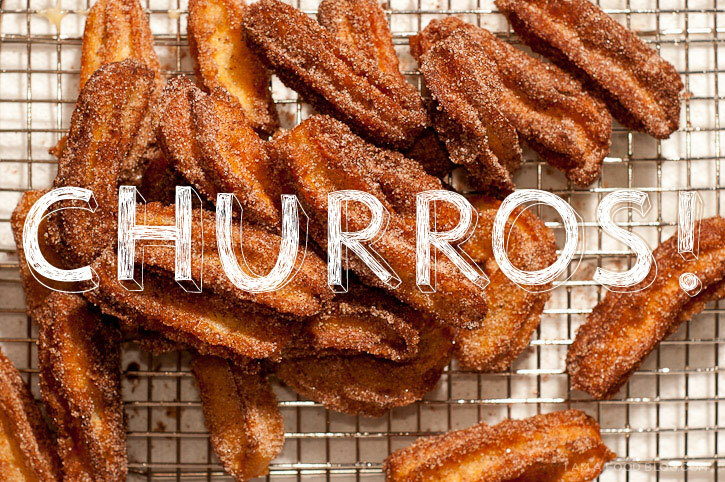 Apparently churros are a breakfast food—I sure could get used to that! Churros are definitely on my must-eat list when I hit up random amusement parks. I’ve even *gasp* boughten a churro or two at Costco. But the best churros I’ve had were on the streets of Playa del Carmen. The street vendors have fancy churro making syringes. I don’t have a fancy churro making syringe, but I do have a piping bag and a star tip. Homemade is as close as I’m going to get to Mexico right now and with these golden brown and crispy churros, I’m not complaining. 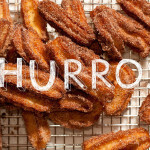 I am cinnamon-y, I am sugary: I AM CHURRO! Turn the dough into the bowl of a mixer fitted with the paddle attachment. One by one, add the eggs to the dough, beating until each egg is thoroughly incorporated. As soon as you add the first egg, your dough will separate. Keep working and by the time you add the third egg it will start coming together again. When all the eggs are incorporated, the dough will be thick and shiny and, when you lift some of it up it will fall back into the bowl in a ribbon. Spoon the dough into a piping bag with a star tip. 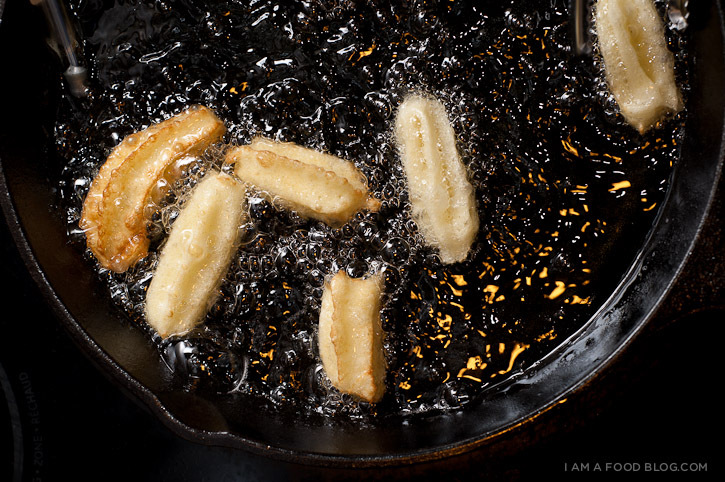 Heat about an inch of oil to 350 F in a deep cast iron skillet over medium high heat. 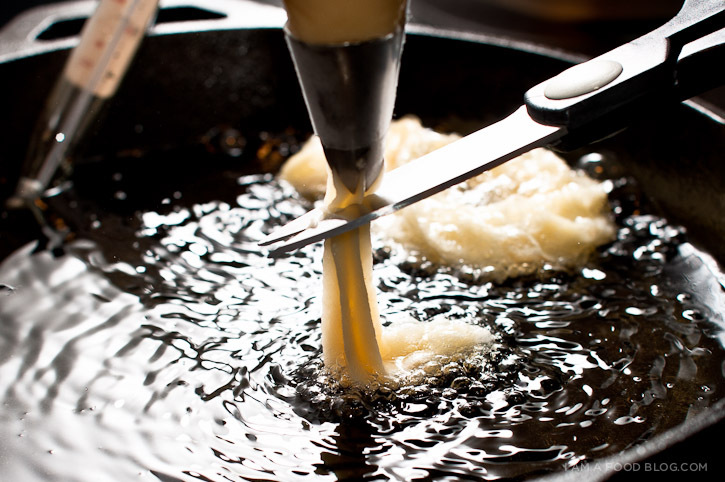 Carefully pipe the dough into the oil. Snip with kitchen scissors when churro is your desired length. Fry, turning once, until golden brown, about 2 minutes per side. Drain on paper towels and immediately roll in cinnamon sugar. Enjoy hot! **Half an egg is 1 1/2 tablespoons. These churros look gorgeous. You really do take some beautiful photos! I just made these this evening. Fluffy, Egg-y, and a Cinch! This would be so quick to take to a party or occasion that called for finger food. I whipped some cream for dip, worked perfect. Thank you soo much for the recipe, one of these days I will get a piping bag and do it properly. I made them and they are delicious! But, my piping bags(!) kept ripping as the dough was so tough. What could i change next time to make the dough less tough? 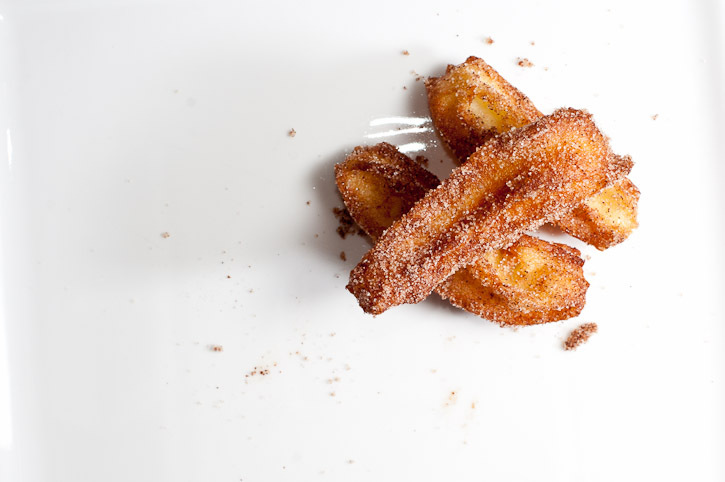 But the original churros from madrid, are without cinamon, only sugar! !